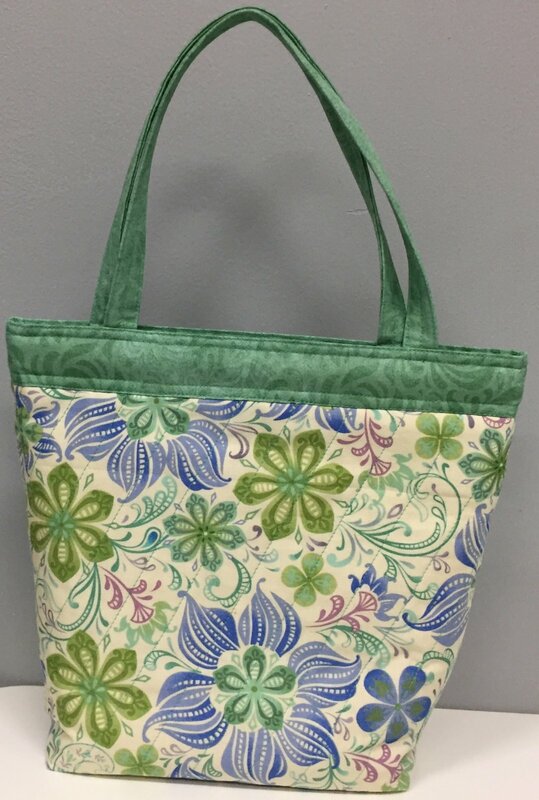 This 10” purse is completely lined with no raw seams and has inside pockets. It easily snaps closed by using a metal carpenter tape that forms a hinge. The handles open the purse in a snap.